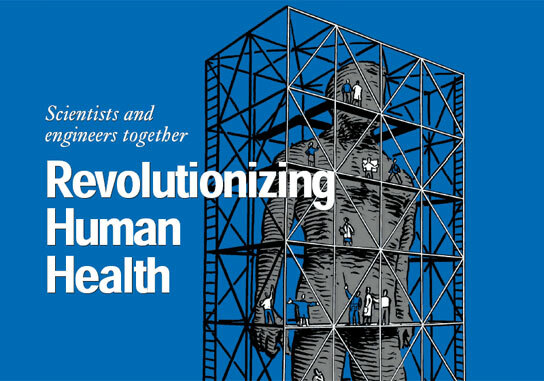 MIT researchers are working to spur the next revolution in medical care. The Campaign for MIT now exceeds the 90 percent mark of its $1.5 billion goal. Nancy Drapkin establishes a $20,000 scholarship to honor her late husband, Paul Drapkin, ’57. Max, ’93, and Alexandra Metral give MIT $155,000 to honor his parents and to celebrate a student’s work. Assoc. Prof. Steven Leeb, who believes in learning by doing, is preparing students for real-world engineering. Hugh Herr, who at 17 lost both legs to frostbite, now holds seven patents for prosthetic leg improvements. Help for surgeons, generating electricity, and more. Junior Alexander Wissner-Gross, who has performed with the New York City Opera, gains insights into nanotechnology that could advance the field. Junior Jim Paris has figured out how to help his housemates save time doing the laundry.